SVC obstruction is a known complication of pacemaker leads. It usually presents with superior vena cava (SVC) syndrome necessitating emergency intervention. The presence of such complication represents a rare technical challenge for device implanting. 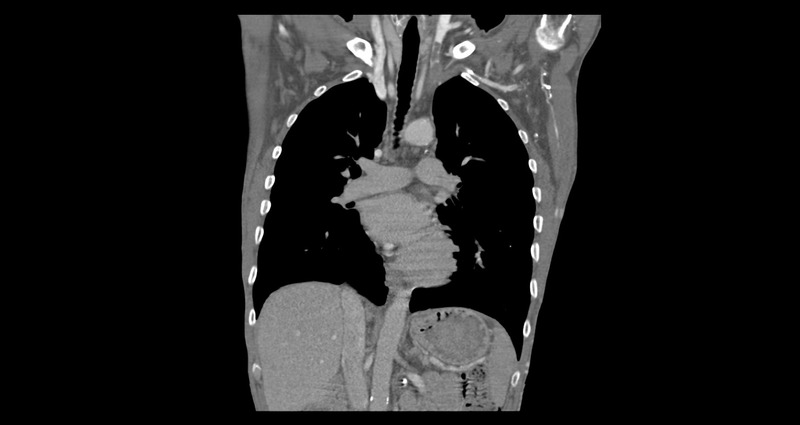 We present a case of 54 years old gentleman who presented with pacemaker pocket infection. Extensive occlusion of SVC was accidentally discovered during left ventricular (LV) lead extraction. Thrombus was extending from the left internal jugular and left subclavian veins into the right atrium (section 1&2). He was started on new oral anticoagulant (NOAC) as well as antibiotics.Waiting for 3-6 months on NOAC would be unpractical in this case and surgical approach is a risky procedure, therefore, emphasis has been placed on the percutaneous approaches to overcome the obstruction after completion of the antibiotic course to get access for pacemaker leads. The endovascular repair (EVR) was done through the right common femoral vein after unsuccessful attempts across the jugular vein. Afterwards, the SVC occlusion was crossed and balloon angioplasty was performed from below using an 8mm by 10 cm balloon and then from above using a 12 mm x 4 cm balloon. 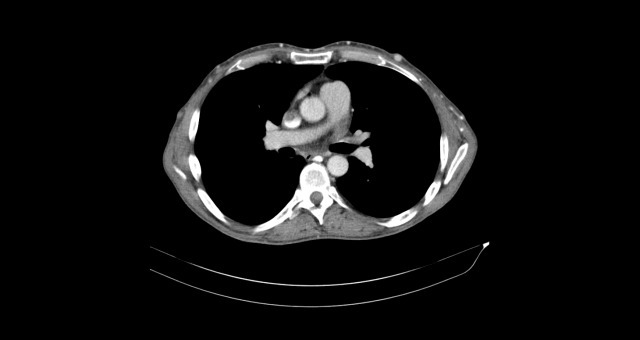 Eventually, the pacemaker was inserted via a right axillary puncture, crossing the SCV obstruction without difficulty until an area of fibrosis at SVC_RA junction hindered movement of lead towards RV. Unfortunately, the long sheath was not long enough to cross the obstruction. Hence, a 11F long sheath and a spiral stiff wire were used. The wire was positioned but screwing mechanism failed. Ultimately, a flexor 12 F sheath which is braided modified by cutting off haemostatic valve initially deployed lead to RV septum with good parameters. The sheath has been removed and the devise is inserted into pre-pectoral pocket. SVC obstruction following pacemaker occurs in 30-50%. However, 1-3% of cases present with SVC syndrome. There is numerous treatment options; percutaneous angioplasty, stent implantation, thrombolysis, surgical thrombectomy, and venous grafting. Surgical correction of SVC syndrome is a risky procedure, so emphasis has been placed over the last few decades on EVR as the success rate is high. In addition, lower procedure-related morbidity and shorter recovery period. However using the EVR technique during a pacemaker insertion to overcome asymptomatic SVC occlusion is relatively unique due to the rarity of cases. Life long anti-coagulation is important to reduce the incidence of thrombosis. Not only did the case demonstrate a new remarkable indication of EVR, but it represents the importance of multidisciplinary team approach to conquer peculiar challenges for pacemaker insertion.